You will be world famous!! You are destined to be world famous! You have the talent, the charisma and the natural knack to be in the public eye. You may have felt a calling for a certain vocation be it in the arts, science or business industries. Follow your instinct and you can very well become famous for your efforts! You will be somewhat famous! Not bad! You won't be extraordinarily famous, but you will experience fame in some form or another within your lifetime. It could be an article in a newspaper, a mention on tv or your business may even be featured in a worldwide, global way. How exciting! You will not be famous at all. You are not destined to be famous unfortunately. But who needs fame, you're famous to the friends and family who love and appreciate you everyday! The secrets of numerology will be able to determine your destiny. 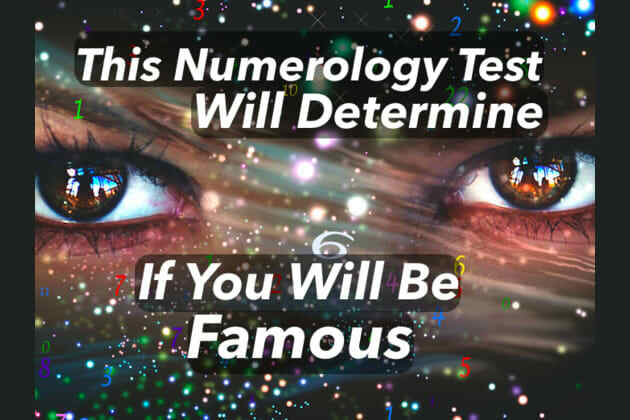 Choose the numbers that resonate most with you and we'll tell you if you will be famous or not.